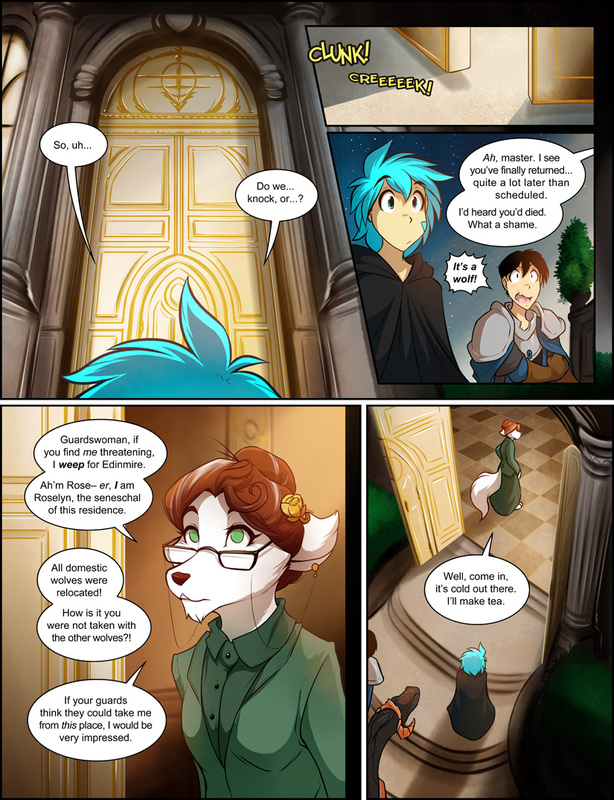 960: The Seneschal - Twokinds - 15 Years on the Net! Trace: Do we… knock, or…? Roselyn: Ah, master. I see you’ve finally returned… quite a lot later than scheduled. I’d heard you’d died. What a shame. Roselyn: Guardswoman, if you find me threatening, I weep for Edinmire. 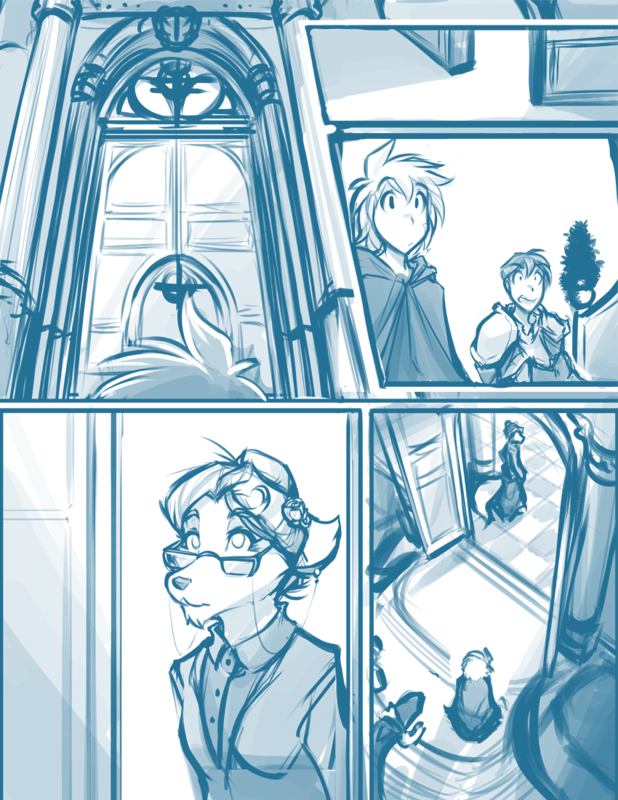 Ah’m Rose– er, I am Roselyn, the seneschal of this residence. Alice: All domestic wolves were relocated! How is it you were not taken with the other wolves?! Roselyn: If your guards think they could take me from this place, I would be very impressed. Roselyn: Well, come in, it’s cold out there. I’ll make tea.